Digital USB video recorder that can be quickly and easily installed on your computer. It accepts audio and video signals from four 2.4GHz wireless channels transmitted by wireless cameras. You can record from other sources as well (cameras, video players, etc.) using the included AV cable. 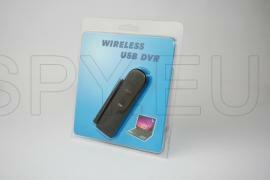 Supports USB 2.0 interface with data transfer speed over 480Mbit/s.